There is no need to fill your body with chemicals in the name of medication, while there are safer and natural methods to relieve pain. Reflexology claims that every point on our body has some connection with our hands. The forefinger is linked with stomach and the colon. Pressing your Forefinger for 60 seconds before pulling it, relives constipation and abdominal pains. After pressing your forefinger for 60 seconds and pulling it afterwards, you should feel improvement in a short while. Every other finger on your hand is linked with certain organs. The thumb is linked to the lungs and heart. If your heartbeats are racing, rub the thumb and pull it. The heartbeats should slow down. The middle finger is linked with the small intestine, the heart, blood and respiratory system. 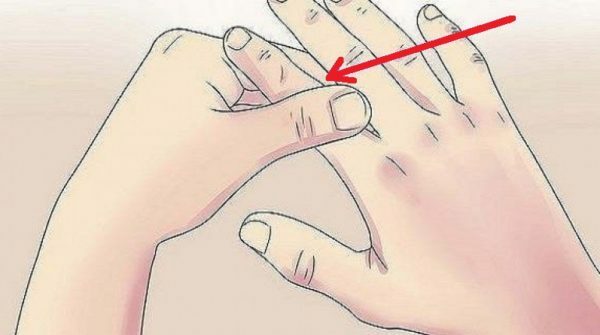 Whenever you feel dizziness, nausea, or insomnia, just stretch out the middle finger and rub it. The ring finger has a significant effect on mood. To prevent depression, simply massage the finger. The small finger is linked to kidneys. It’s also associated with neck pain and headache. Massage the finger and you’ll feel a huge relief. Your palms are also linked with certain organs of your body. They are most particularly linked with the nervous system. To protect your psychological condition, just clap your hands for 60 seconds. This will enhance the circulation, making you feel considerably better.